Any attempt to abrogate Article 370 would be saying goodbye to J&K: Sajad Lone. 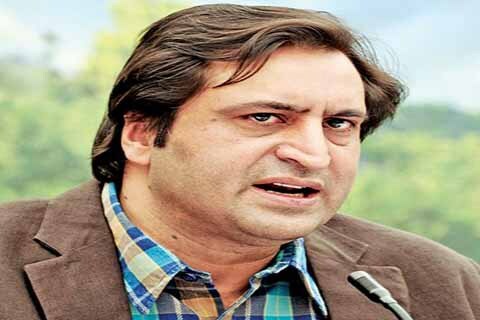 Peoples Conference Chairman Sajad Gani Lone on Monday said that J&K’s special status is sacred and a matter of special provisions offered to the people of the state in order to be part of India and mere thoughts of abrogating it will be tantamount to committing suicide. Sajad said that any misstep in regard to Article 370 has the potential to further secessionist sentiment in the valley. The secessionist sentiment will get its ultimate mass justification. “Forget abrogation, mere statements of intent to undermine or dilute Article 370 & Article 35A will fatally shake the foundations of accession. Any attempt to actually do away with it would be as good as saying goodbye to the state of J&K. It would prove to be the last straw in the New Delhi’s relationship with the state of J&K”, he added. Previous articleWill strive to bring back ‘President’, ‘PM’ post in JK: Omar; Modi condemns remark. Next articleBJP responsible for widespread disappointment, disenchantment across Jammu province: Bhalla.